Don’t miss Denise Hunter‘s latest Chapel Springs Romance, Dancing with Fireflies. But hurry, the giveaway ends on April 10th. Winner will be announced at the Dancing with Fireflies Facebook Party on April 10th. Connect with Denise for an evening of prizes, book chat, and an exclusive look at the next book in the series. And check back on March 29th for my review of Dancing With Fireflies! Here is the LINK for the Blog tour Landing Page so you can check out all the other great reviews too! Don’t miss a moment of the fun; RSVP today by clicking JOIN on the event page. Tell your friends via FACEBOOK or TWITTER and increase your chances of winning. Hope to see you on the 10th! Learn more and purchase a copy at Denise’s website. Denise Hunter is an internationally published best-selling author. Her books have won The Holt Medallion Award, The Reader’s Choice Award, The Foreword Book of the Year Award, and was a RITA finalist. In 1996, inspired by the death of her grandfather, Denise began her first book, writing while her children napped. Two years later it was published, and she’s been writing ever since. Her husband says he inspires all of her romantic stories, but Denise insists a good imagination helps, too. When Denise isn’t writing, she’s busy raising three heroes-in-the-making with her husband. This book is very exciting for me because it’s about the characters I fell in love with in the very first Amish fiction novel I ever read. person – between NaNoWriMo and reviewing the stack of other books that had piled up on my desk. The only complaint I might have is that it took so long for two young couples so much in love to conceive. (In case you can’t tell… I’m teasing) This book is an excellent continuation of the story that started in “A Simple Amish Christmas” and it shows just how wonderful a writer Vannetta Chapman is. Three years passed between the writing of one and the other but it feels like she wrote them back to back. The characters have the same voices, mannerisms and behaviors. kind of sequel either. It’s really a good next step and, I think, a story anyone would enjoy. the Amish lives with the “Englisch” around them. The Amish strive to remain separate but a big part of their faith is about being open and loving to all of God’s (Gotte’s) children. Vannetta writes that aspect perfectly in my opinion. She has a talent for capturing their “voice” and their feelings and emotions – a tremendous accomplishment for an “Englisch” writer. You would never know she did not grow up Amish. And, while I recommend that you read “A Simple Amish Christmas” first, this book could easily be read first or even alone. And now I’m off to work on my NaNoNovel and read up the rest of the books in my TBR pile. I give it 5 stars! A GREAT READ! 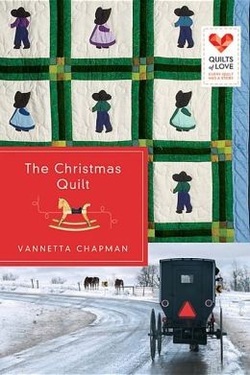 Click HERE for more info from Litfuse about the blog tour for “The Christmas Quilt” Make sure you click HERE and check out the Quilts of Love website! 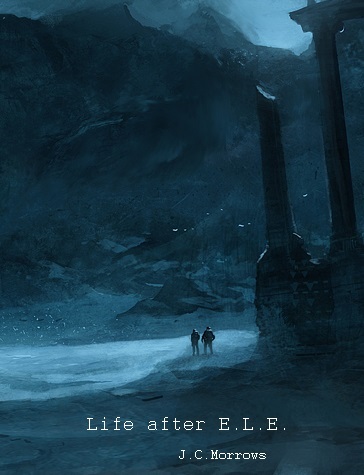 Click HERE for the GoodReads book page. Be careful, some of their reviews include a few too many spoilers for my taste. You can click HERE to check out Vannetta Chapman’s website. Quilts of Love KINDLE FIRE HDX Giveaway & “Christmas Bee” Facebook Party 12/10!